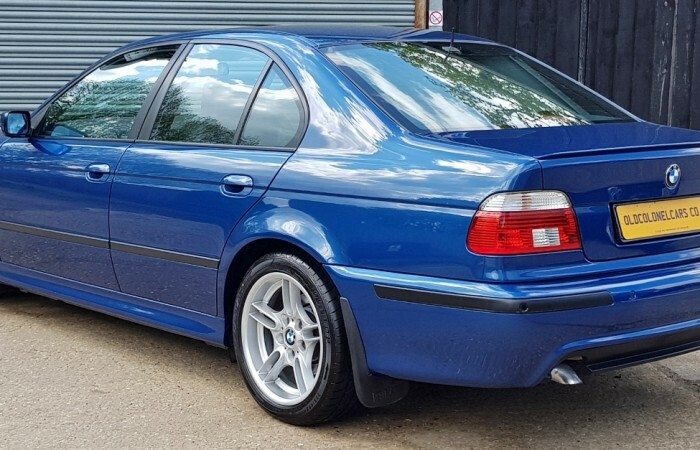 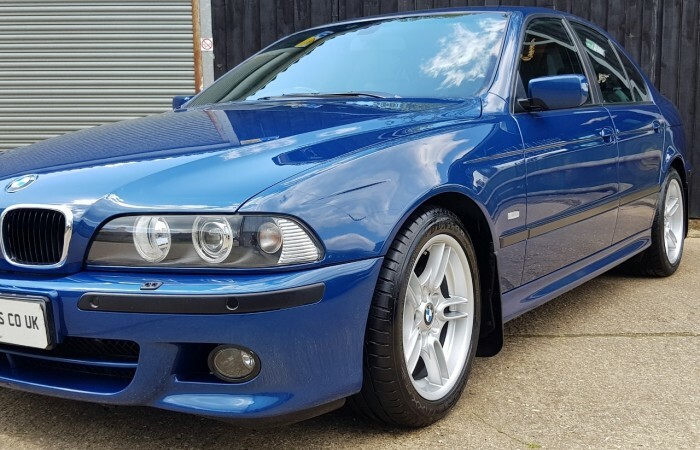 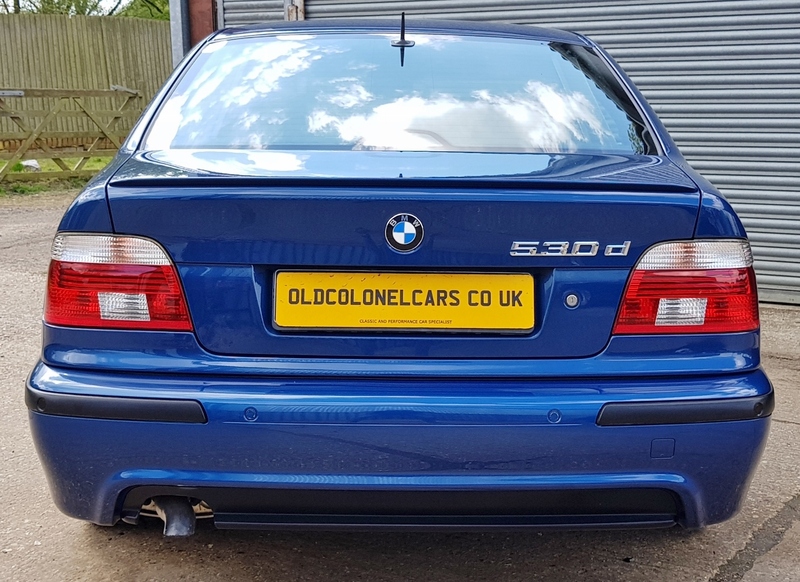 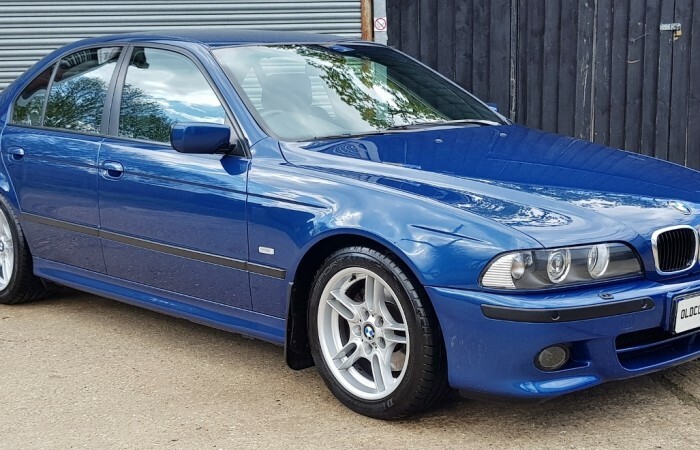 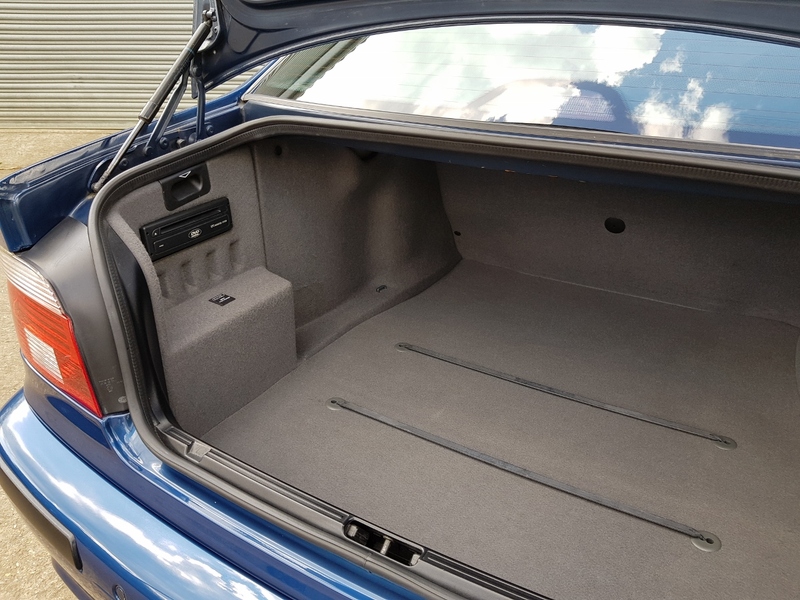 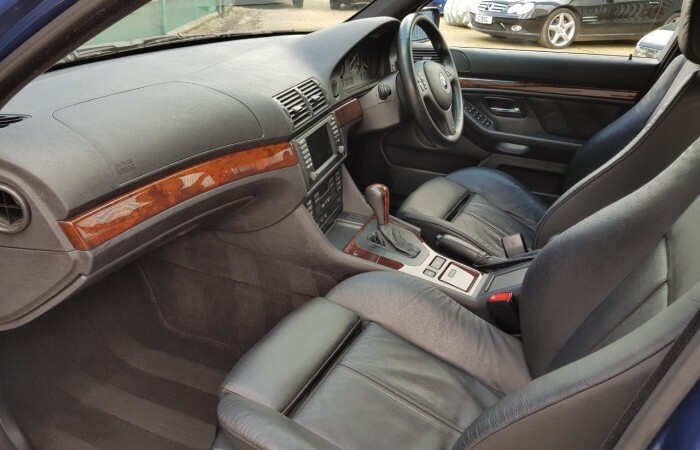 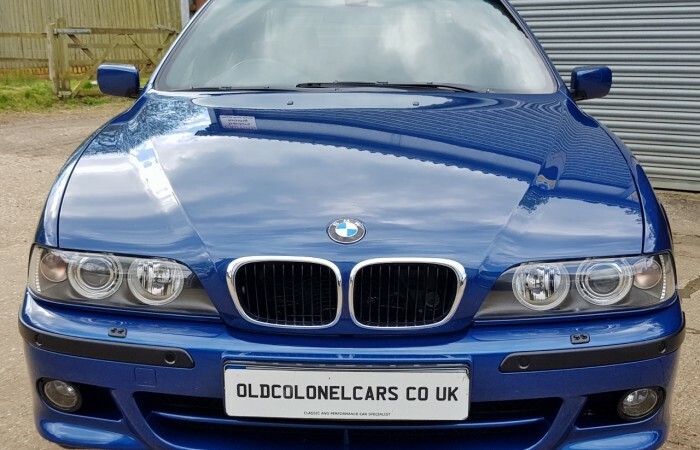 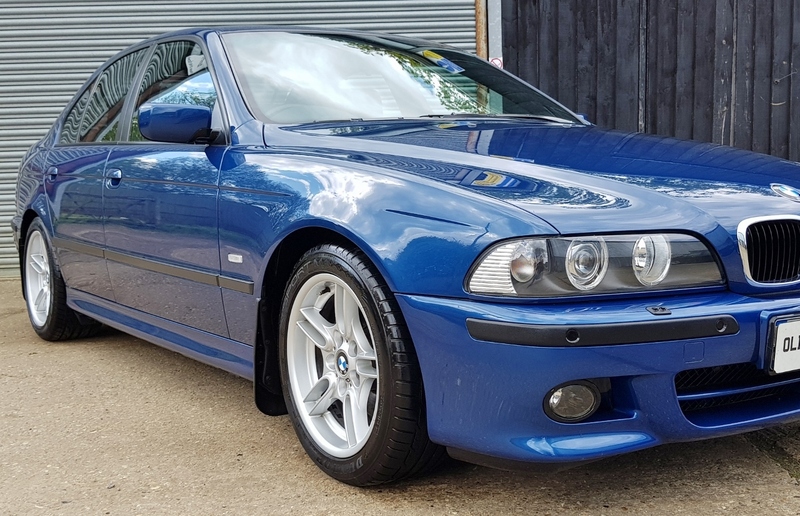 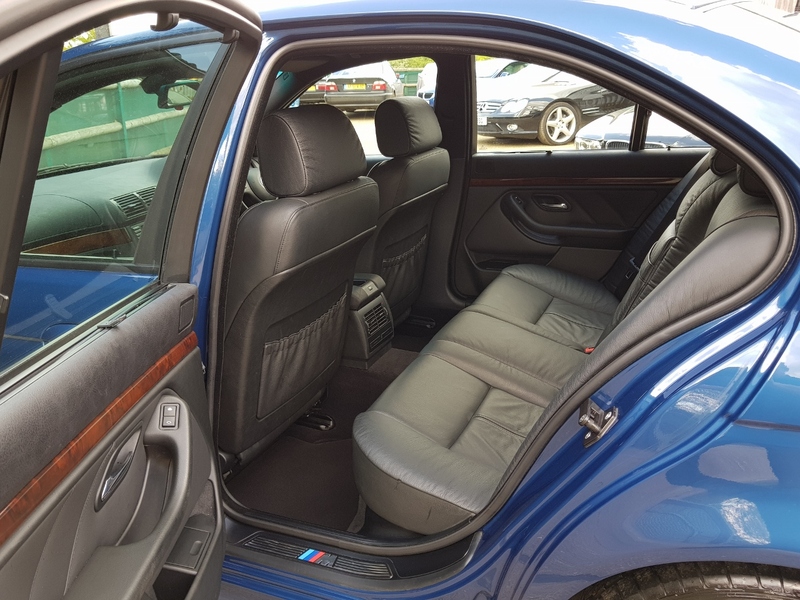 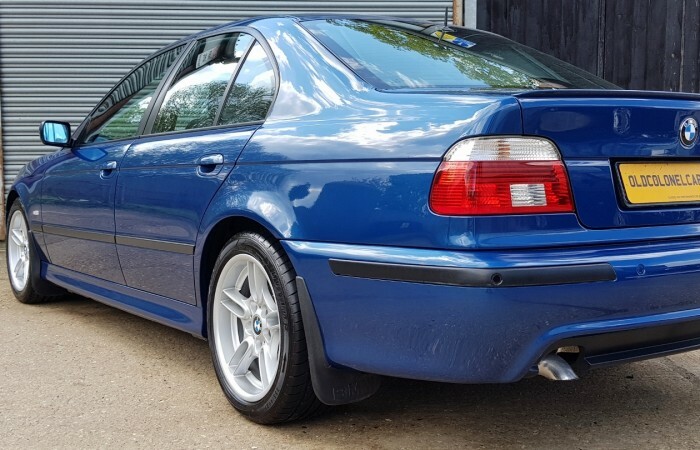 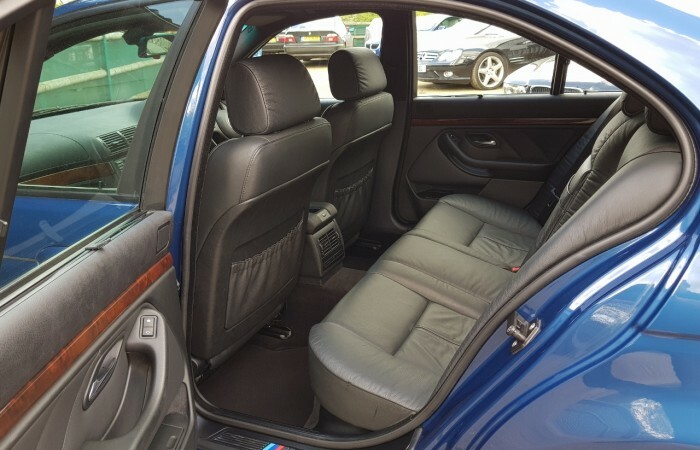 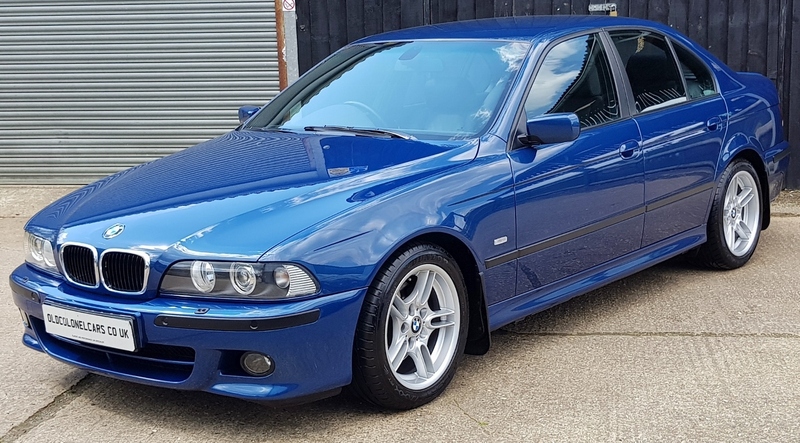 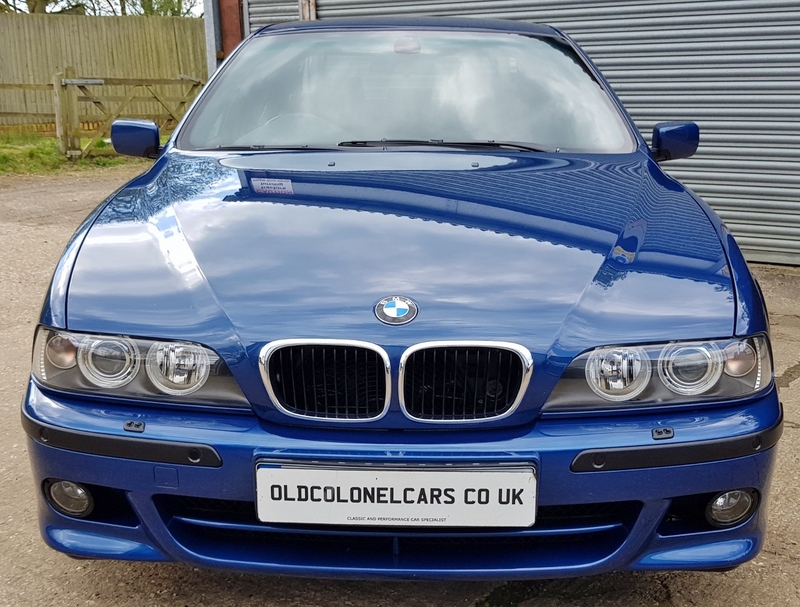 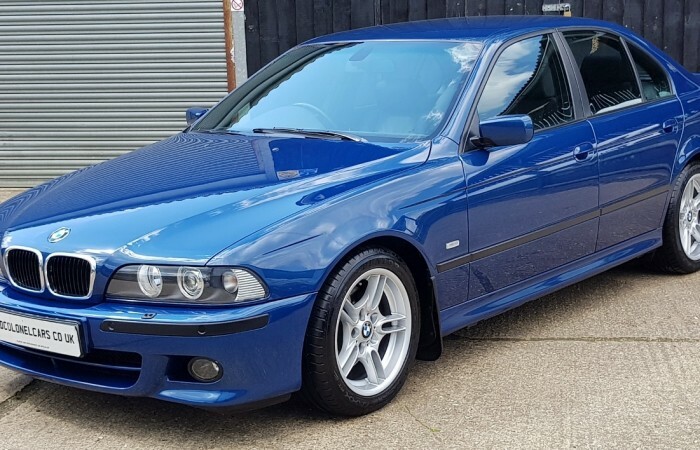 Here is an absolutely stunning example of the excellent BMW E39 5 Series. 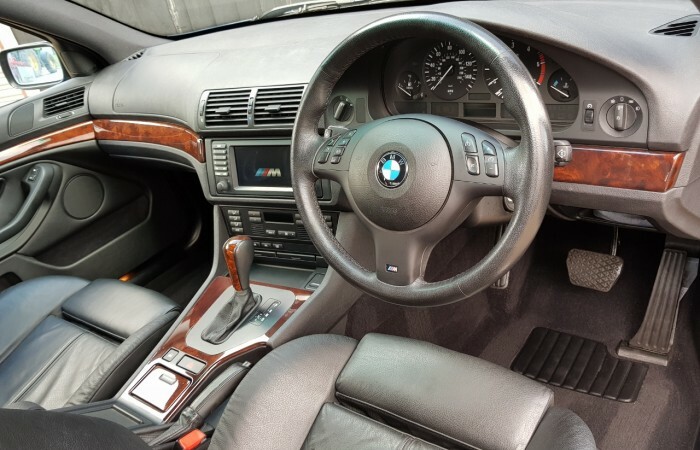 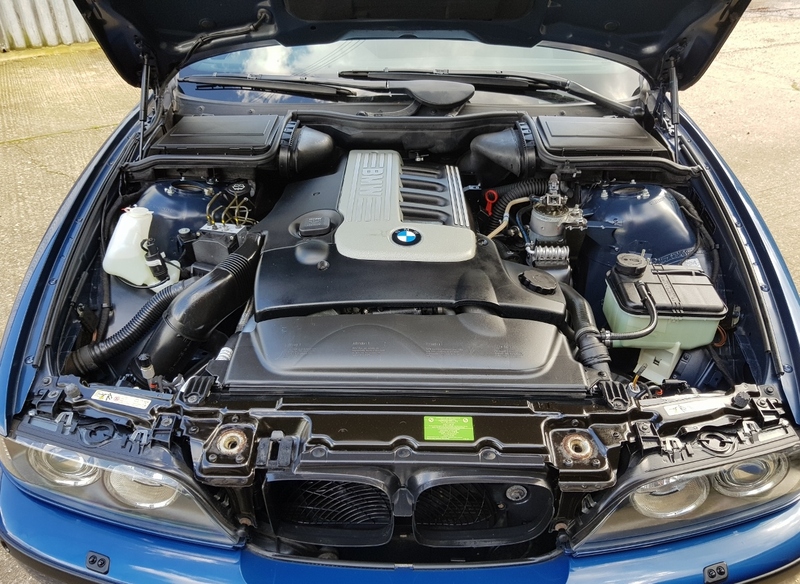 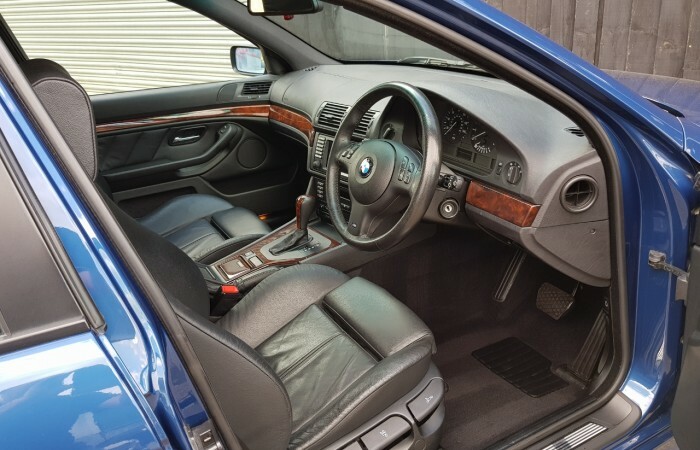 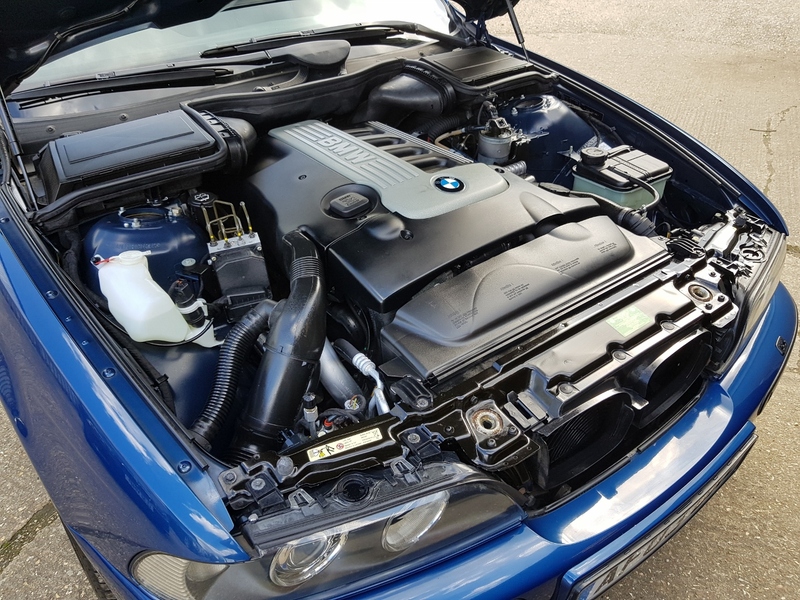 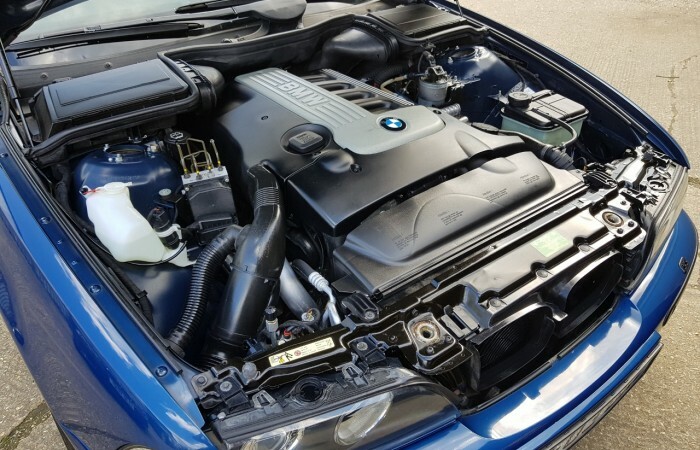 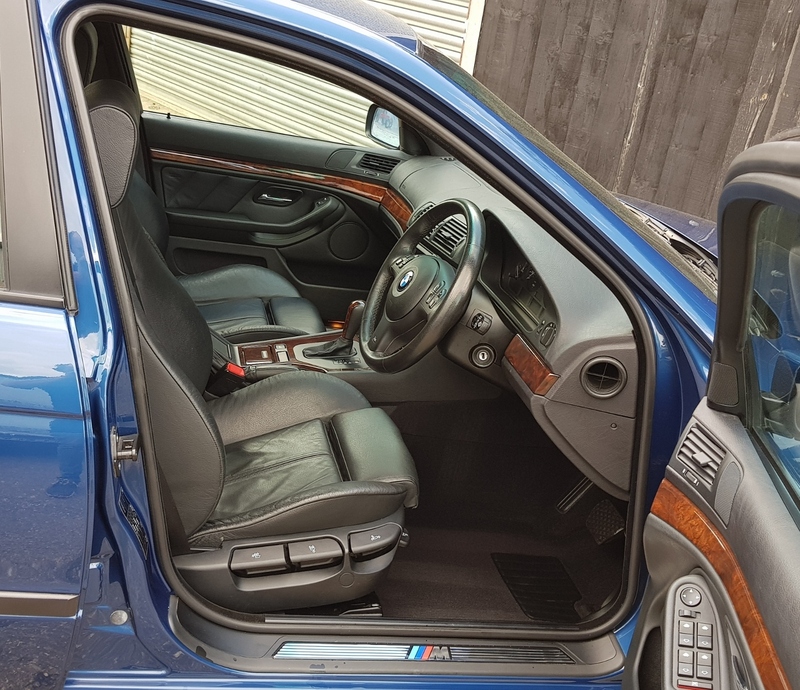 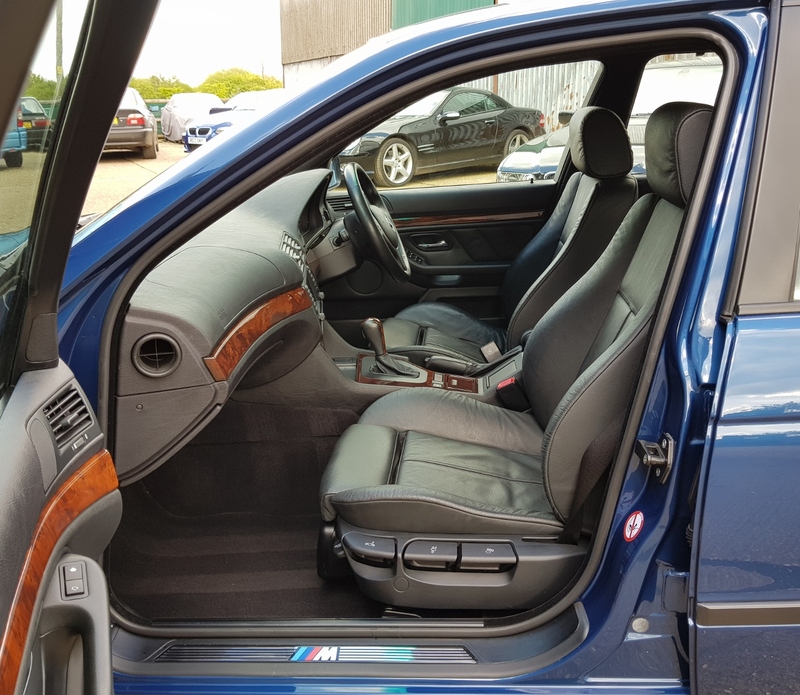 This is one of the very last E39’s, a 2003 530 D M Sport mated to the Auto / Sport / Sequential gearbox. 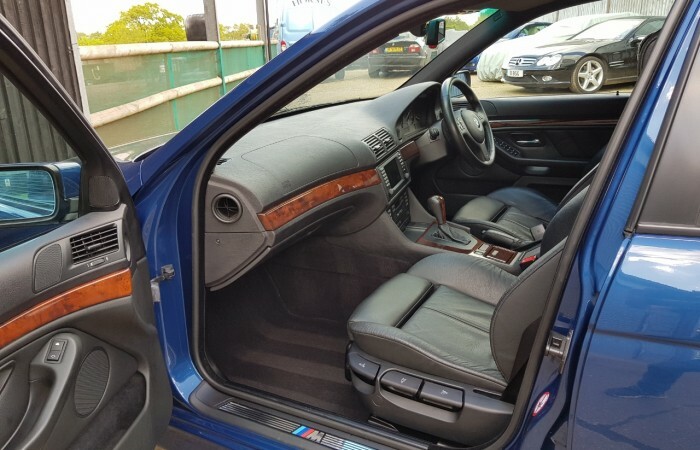 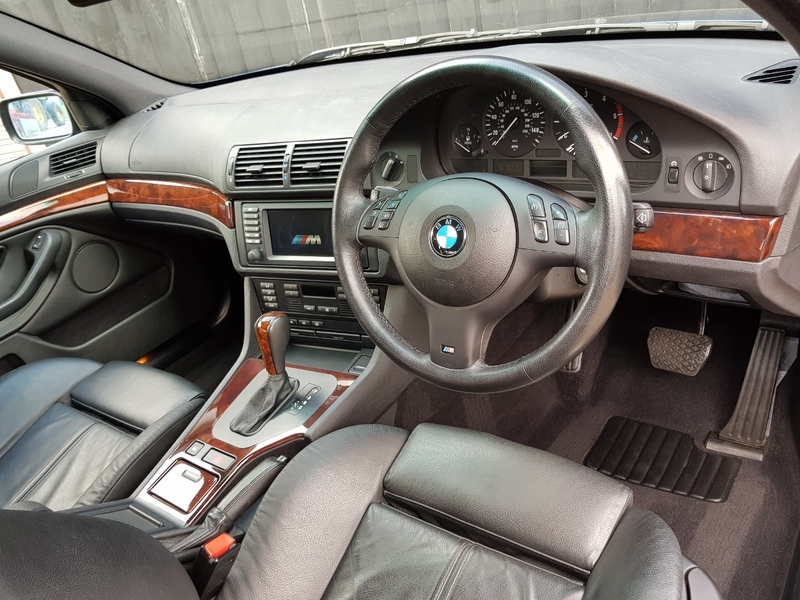 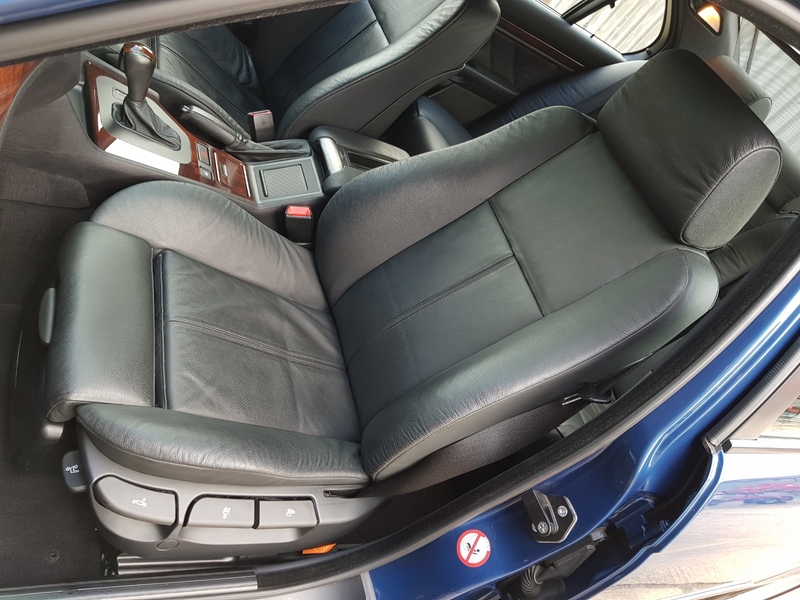 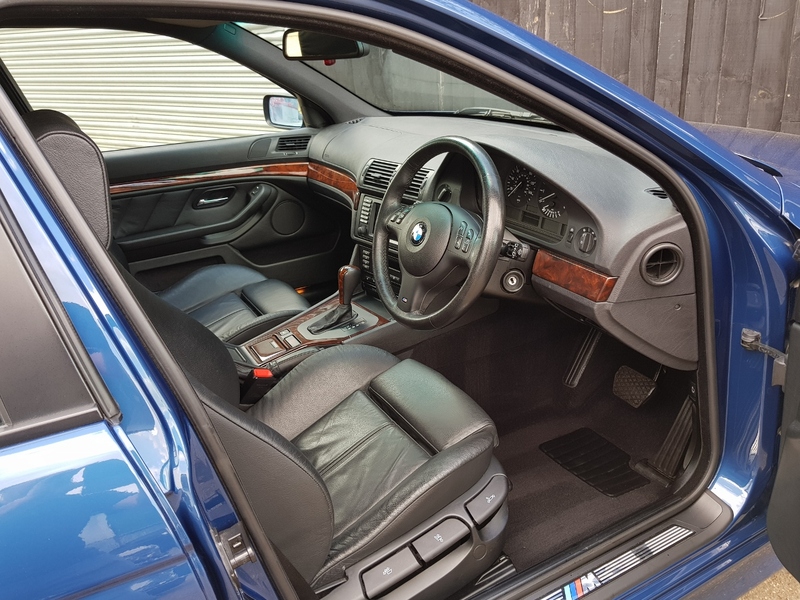 Its very hard to find a BMW E39 in such excellent , original condition, especially with only 76,000 Miles. 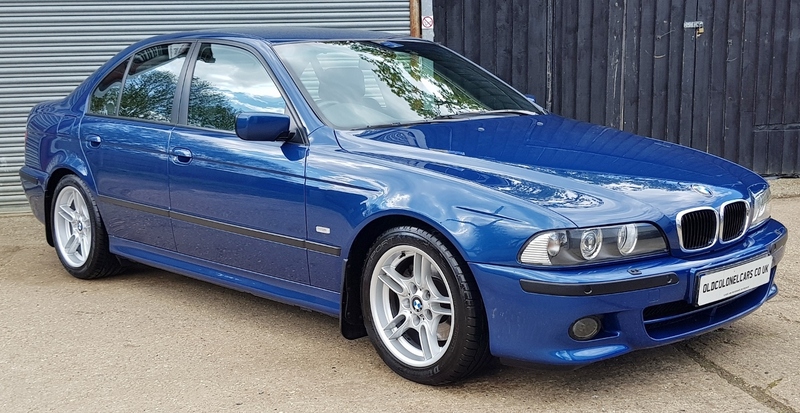 This BMW E39 is one of the best kept and original examples I have seen. 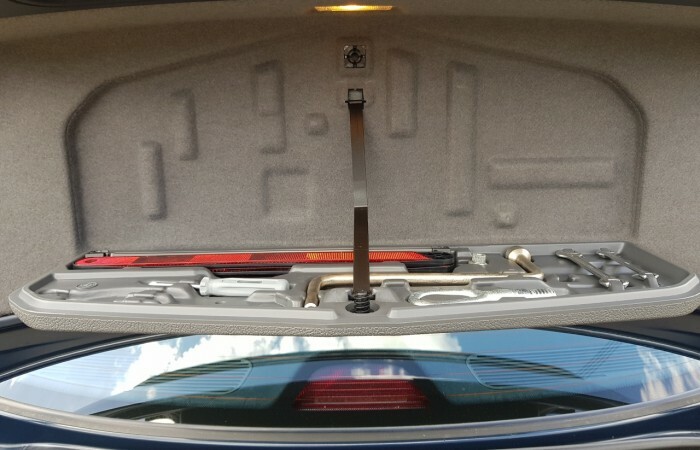 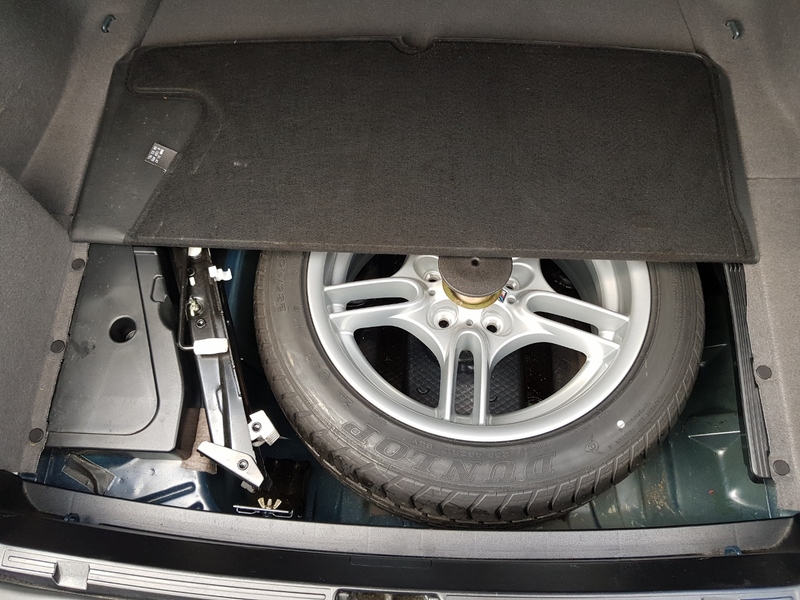 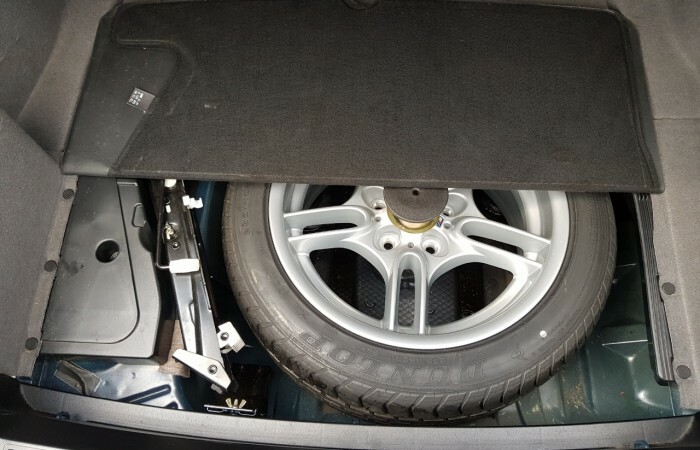 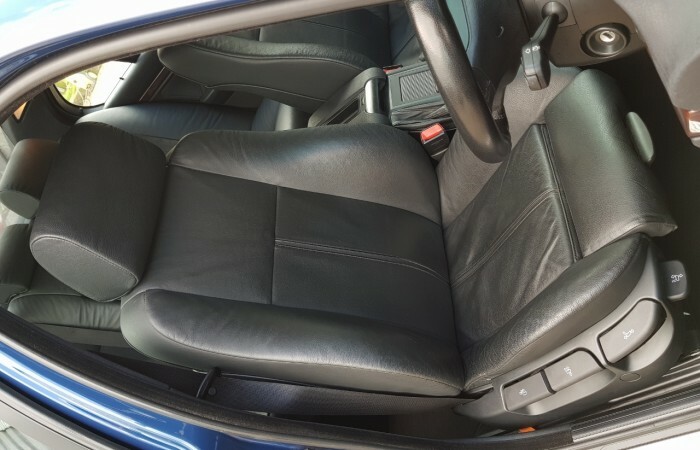 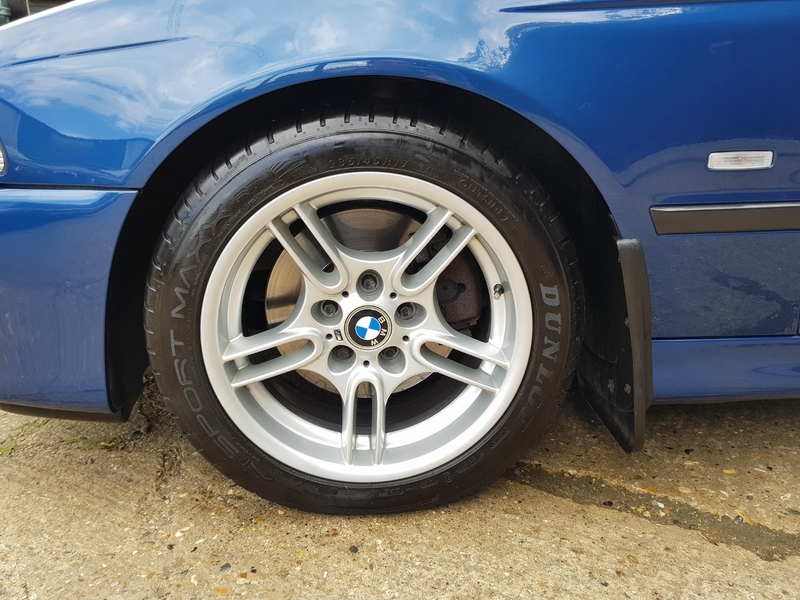 The paintwork for example appears to be all factory original, and in excellent shape, the original spare alloy and tyre, have never been used. 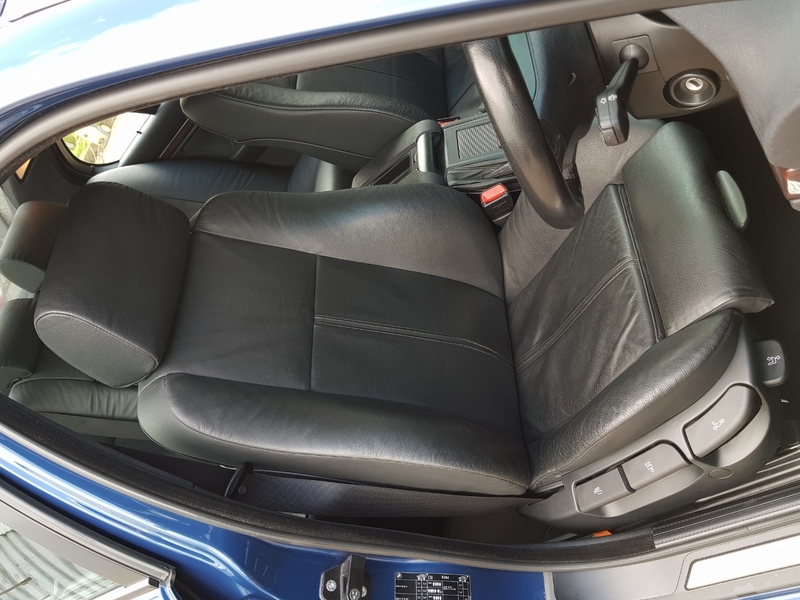 The car has been owned by 1 mature owner for most if its life and its clear this car has been pampered and looked after correctly. 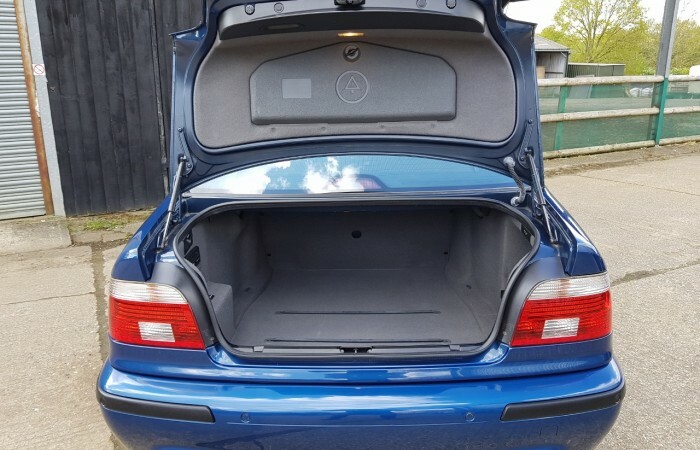 He was a very careful owner, always kept this car garaged and used only as a weekend car. 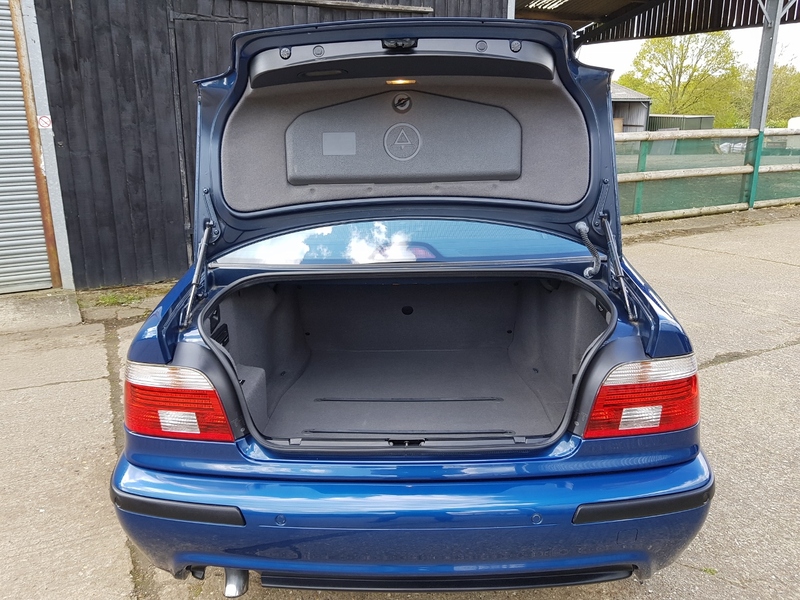 The last owner of 2 years was is a real BMW enthusiast and has also kept this car garaged when not in use. 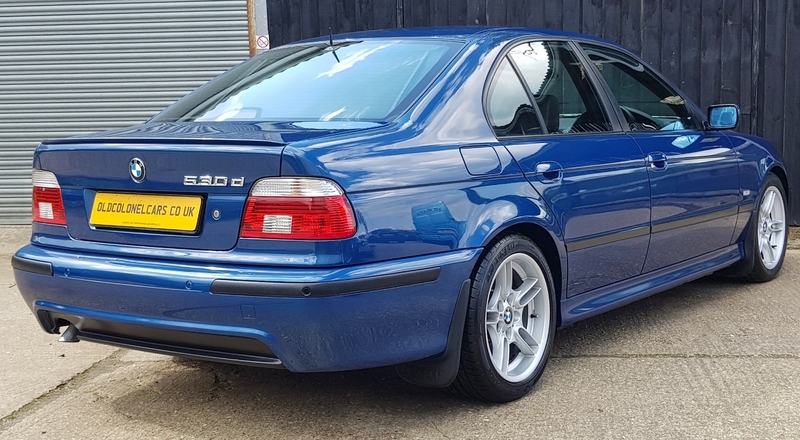 The E39 was a great model, lots of customers are now returning to these from later models. 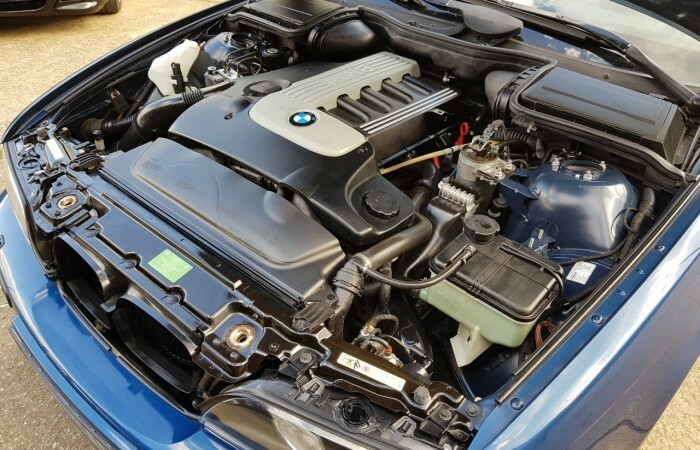 The 3.0 D engine performs perfectly, effortless performance with plenty of torque. 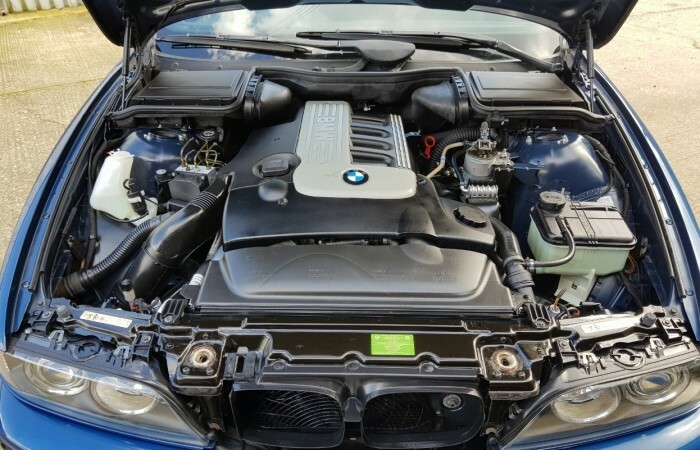 This model has all the performance along with excellent fuel economy. 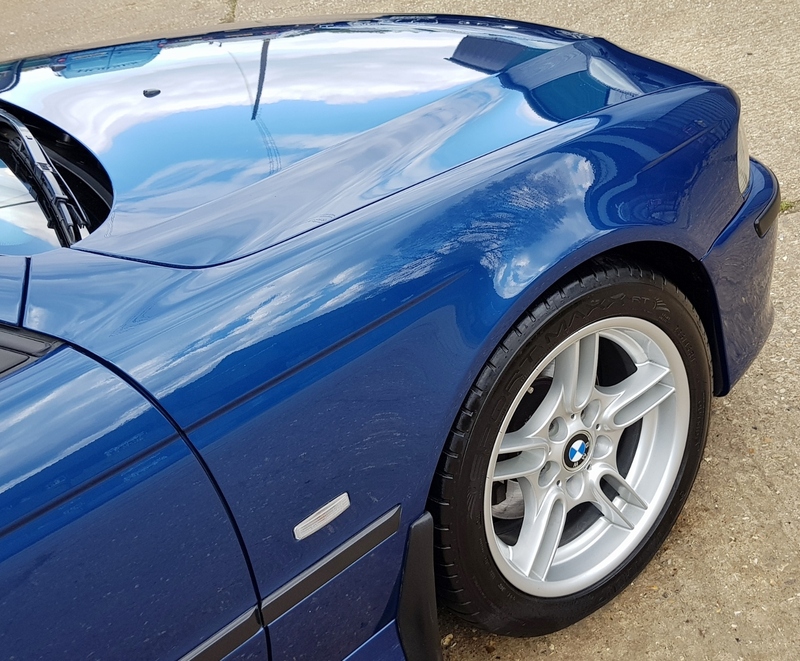 This particular car drives as good as any I have driven. 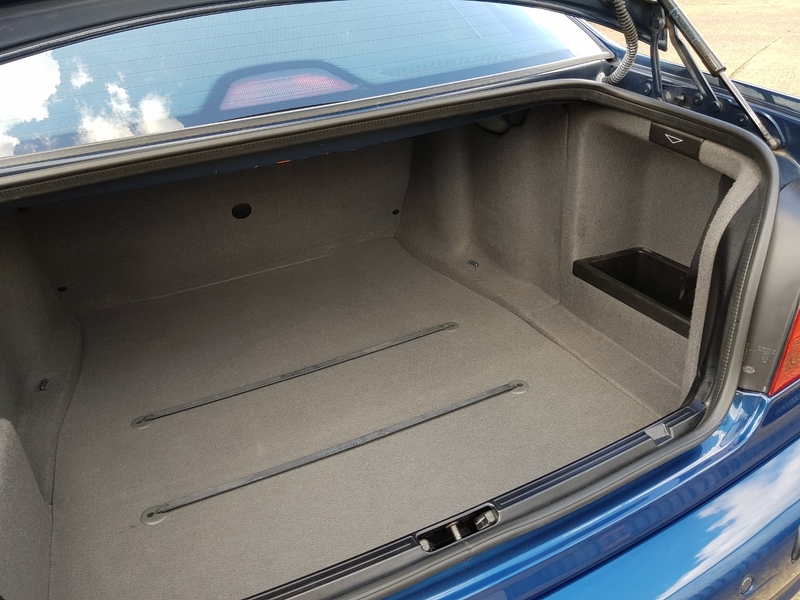 It really does drive as tight and fresh as your will find. 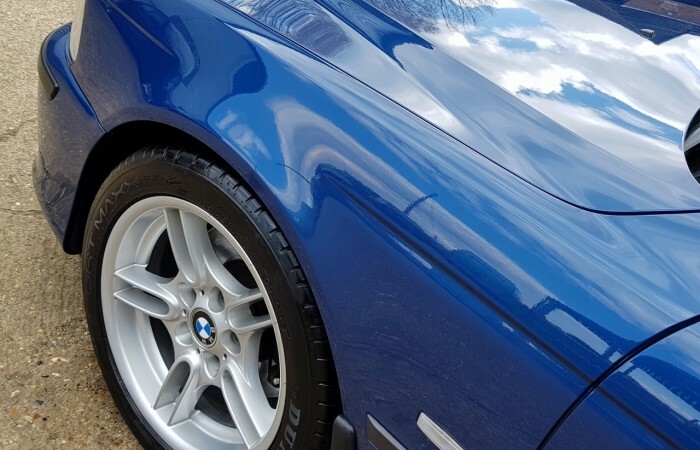 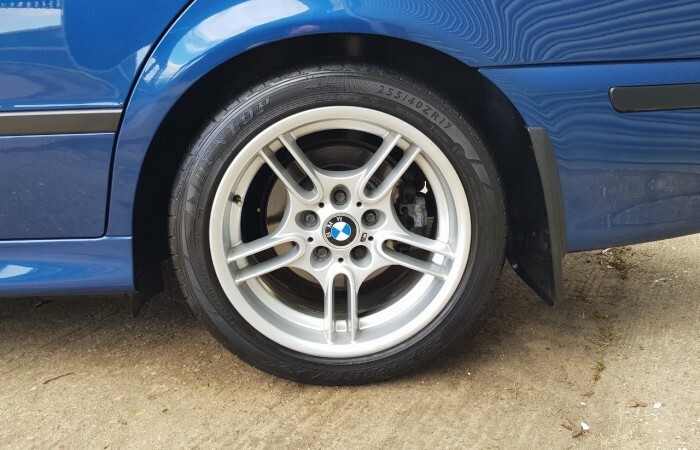 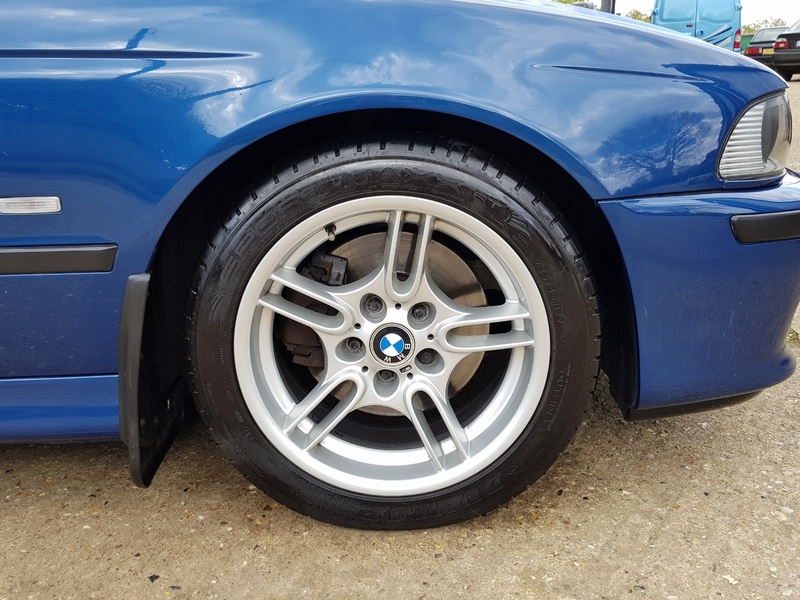 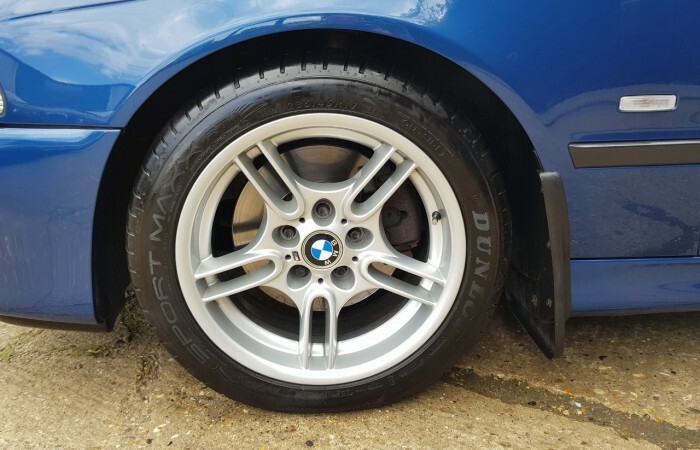 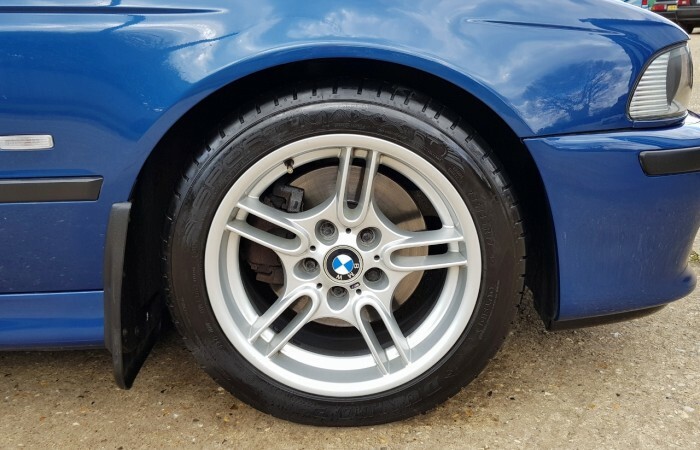 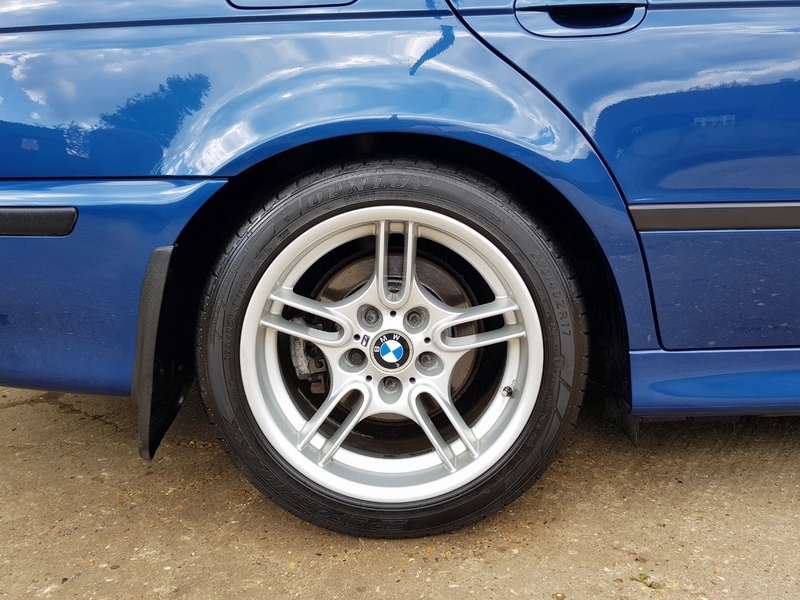 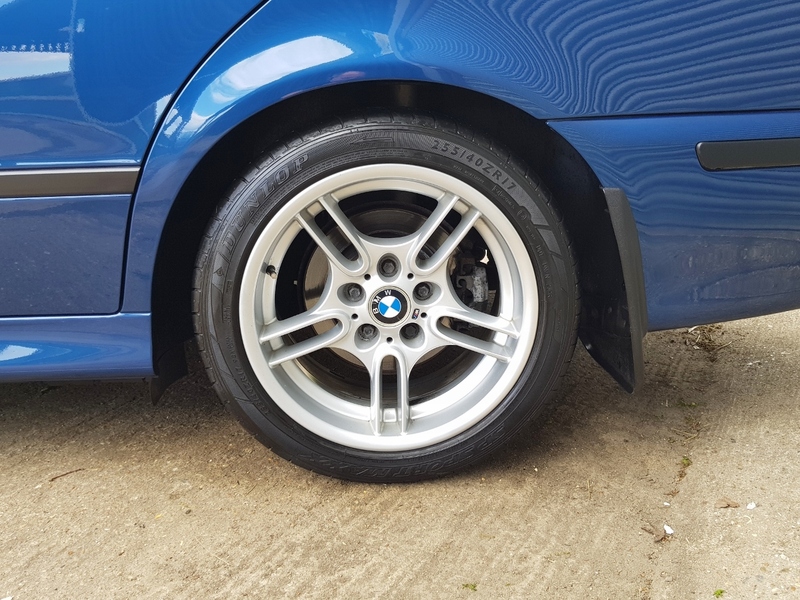 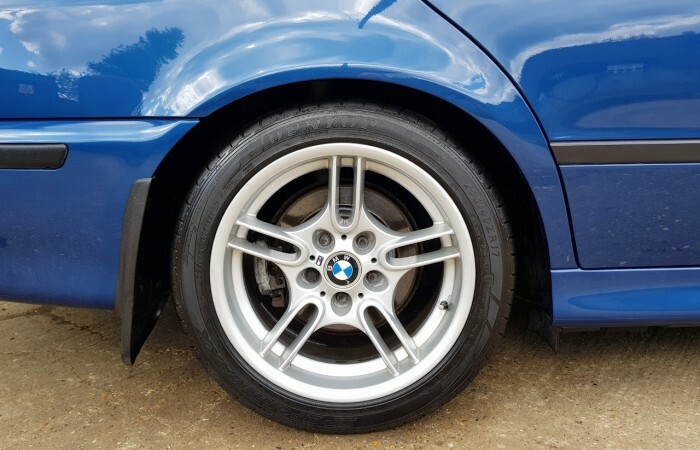 The BMW M Sport alloys are all in lovely, original condition, all fitted with excellent, matching tyres. 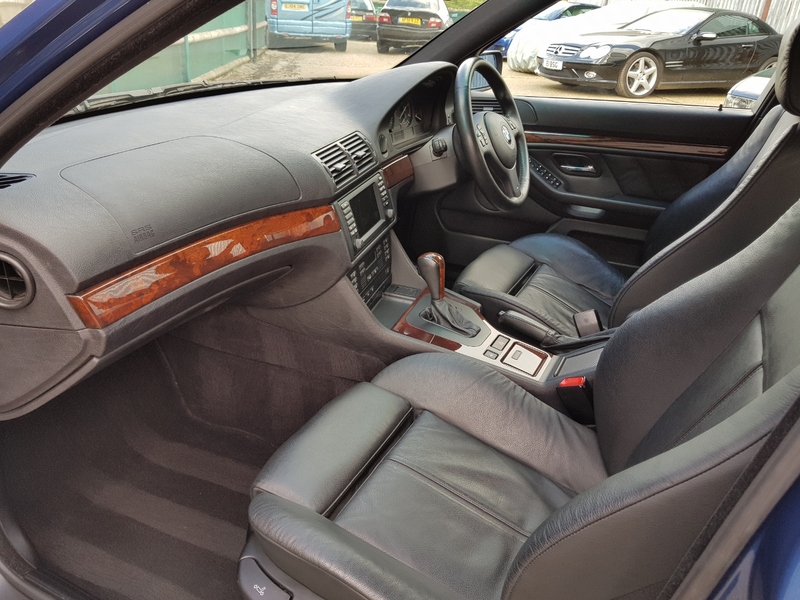 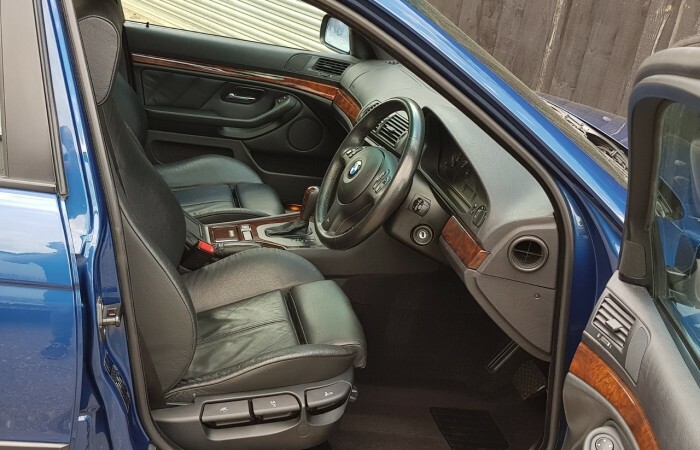 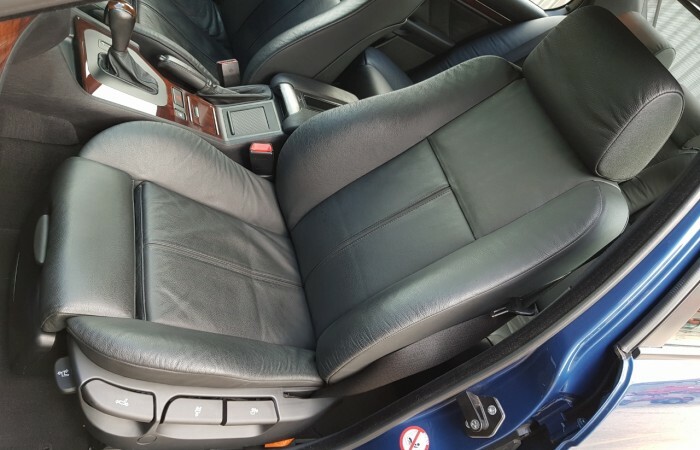 Inside this car is finished in Black leather with complimenting wood trim. Everywhere you look in this car is in excellent, original condition. 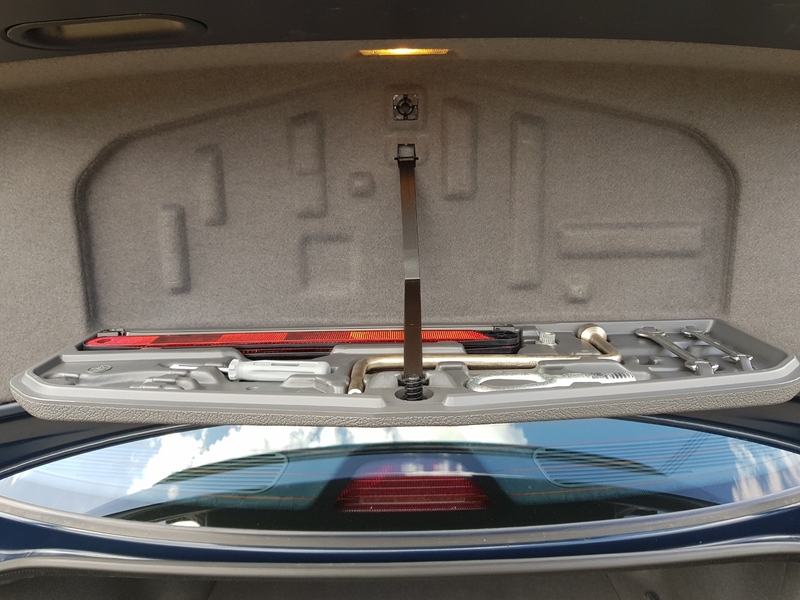 Everything lights up and works as it should be. 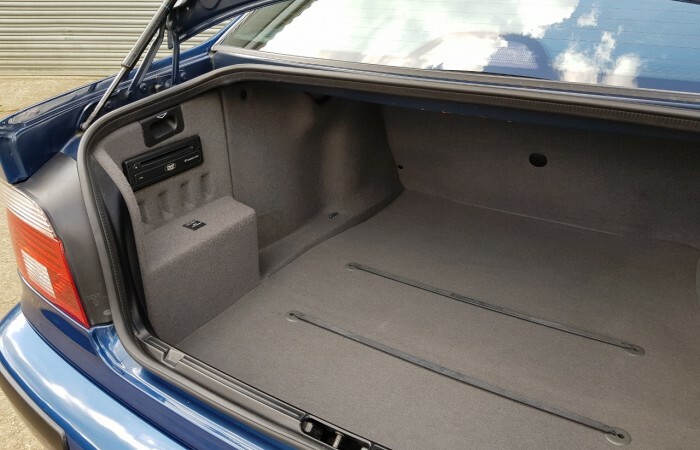 The deep pile carpets are still protected by the original BMW over mats. 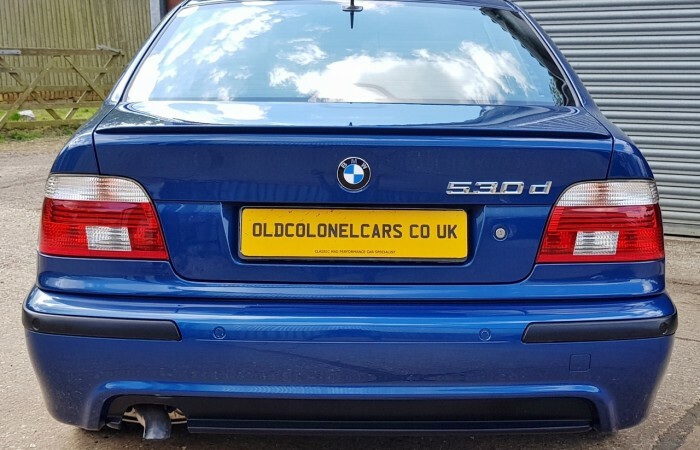 If you are looking for an E39, you would be hard pushed to find a better example than this one. 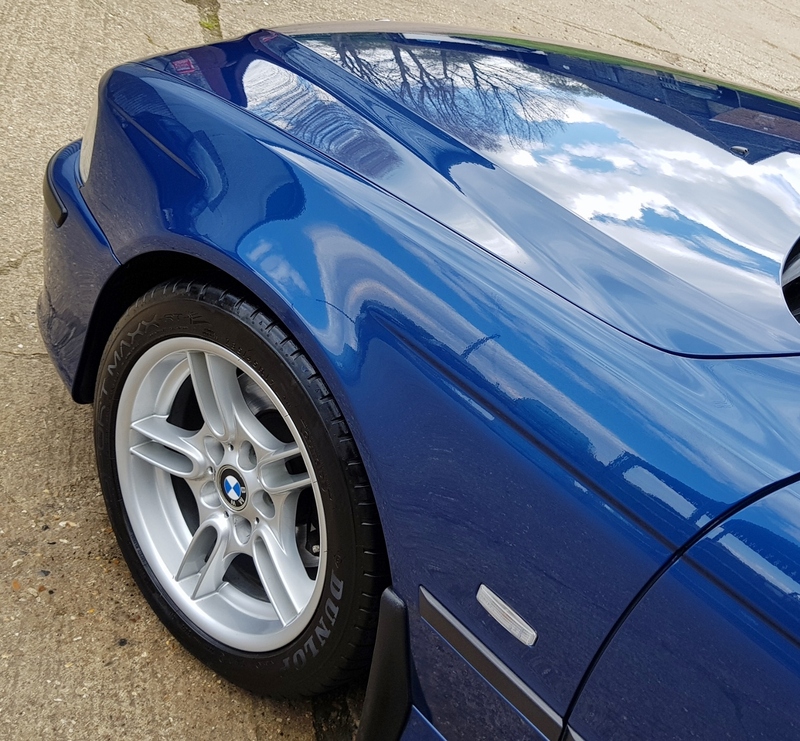 It really is something special, a car that’s been pampered, cared for and serviced as it should be. 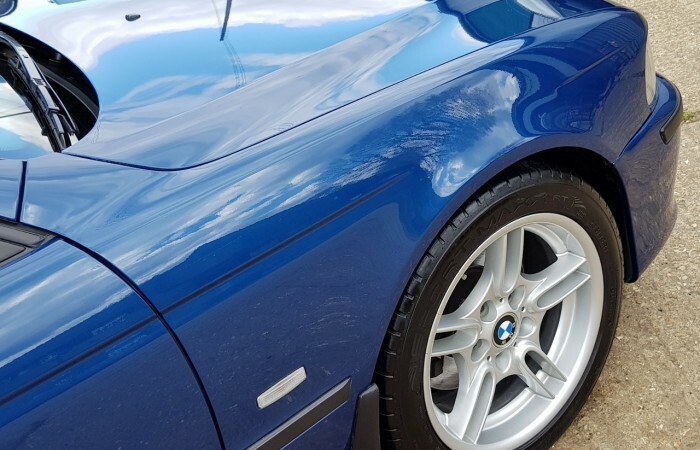 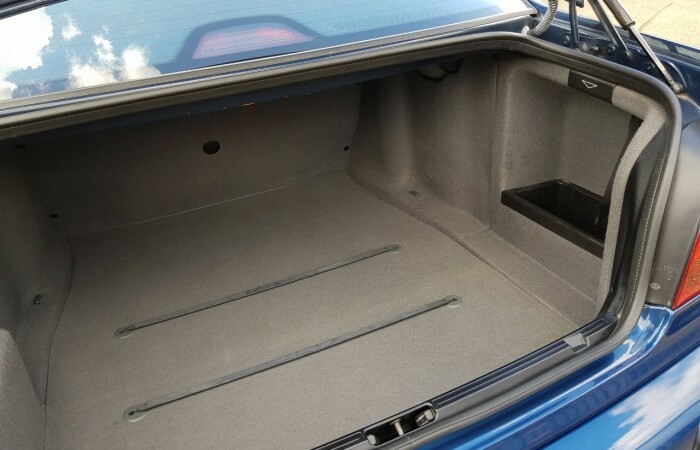 Keep it for a car to clean and enjoy at the weekend, or use it every day and enjoy it. 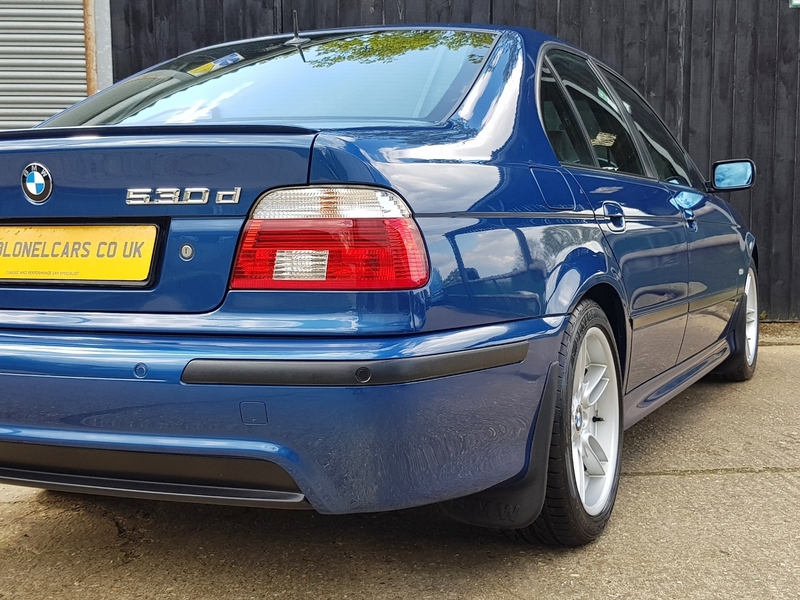 You can’t buy new E39’s any more, this is as close as you are likely to get. 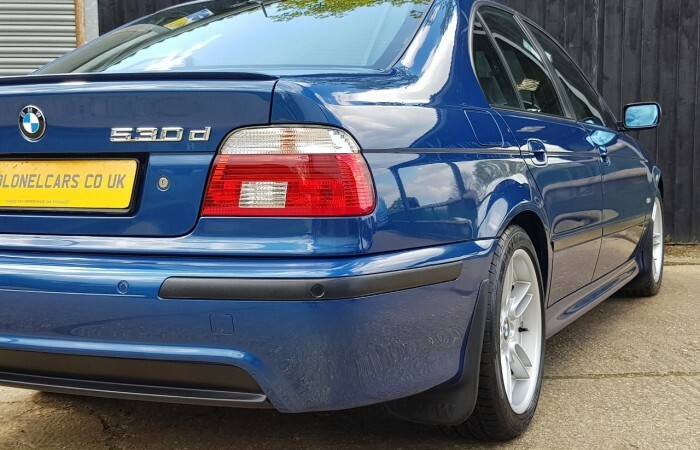 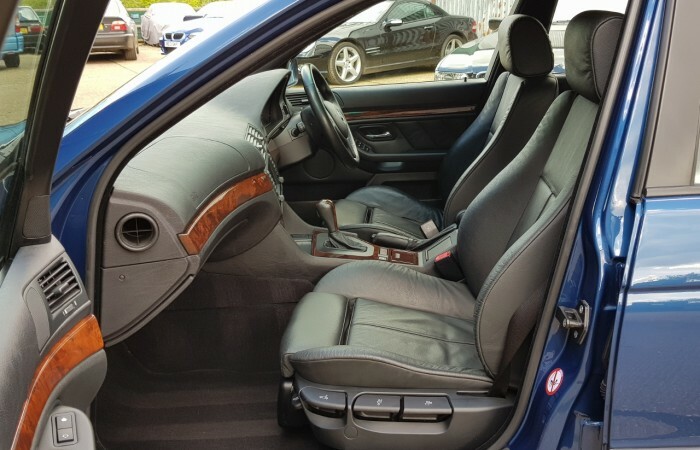 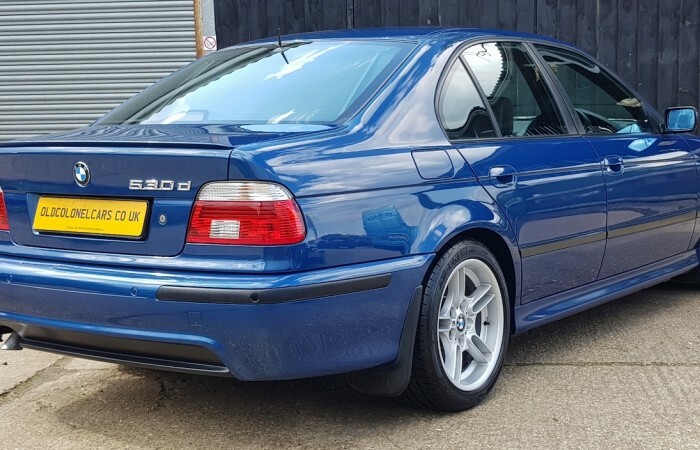 Very few low mileage E39’s come onto the market, when they do the vast majority are imports. 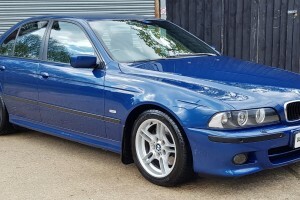 This is a UK car, so you can be assured of its history, correct UK spec etc. 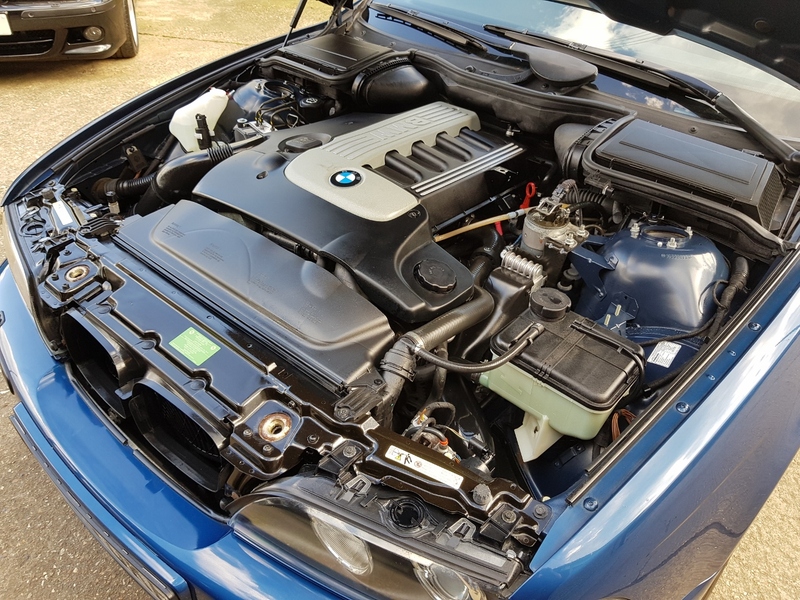 This BMW has just had an Inspection I Service at 75,000 and is MOT’d until March 2019. 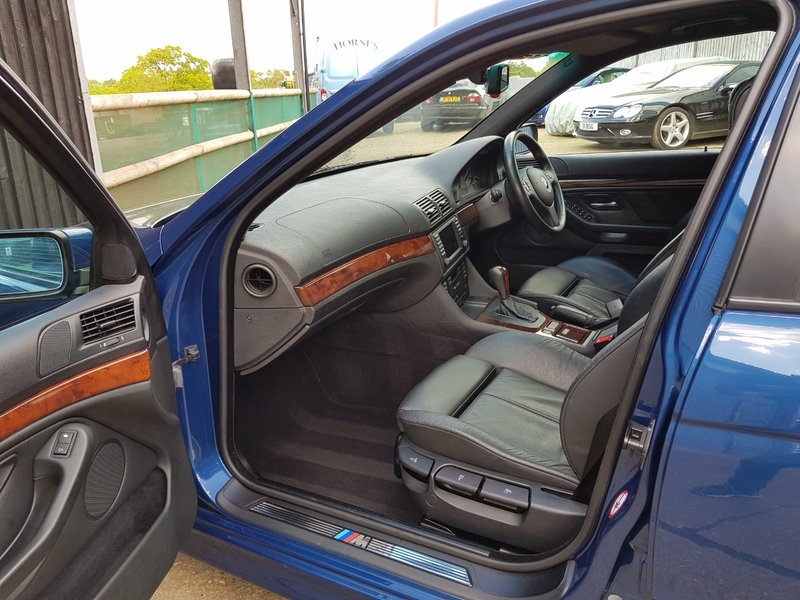 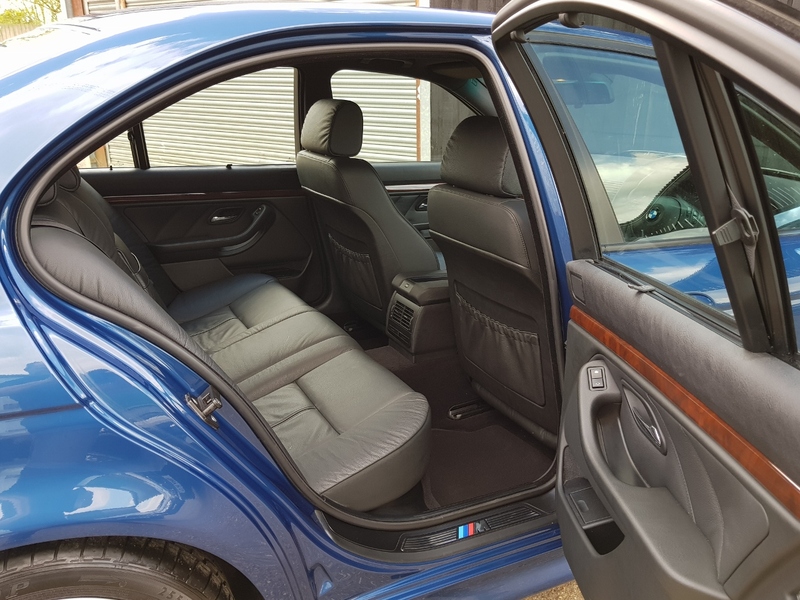 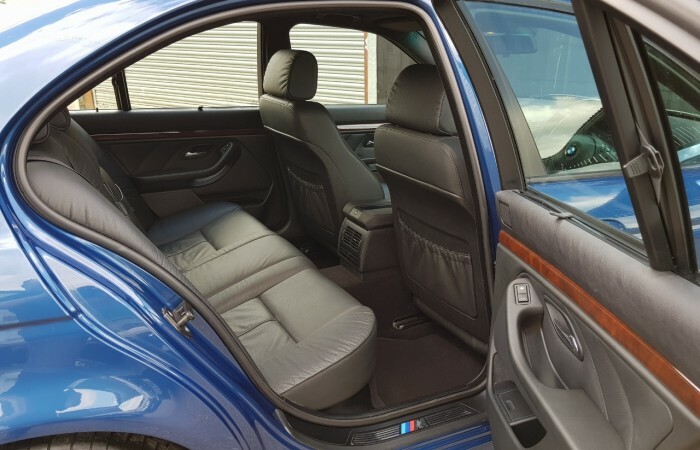 This BMW is an immaculate example that’s ready to be enjoyed now !